Save over 10% when you purchase the Gun Kit I compared to buying the items separately. Ideal for the gun owner that wants to enhance the rust protection on his guns. 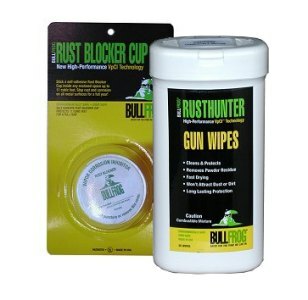 The combination of the extremely handy gun wipes and the invisible protection of the Bull Frog Emitter Cup provides a simple yet effective method of controlling rust on your valuable firearms.